After years of trying to have a baby, Jack and Melissa adopt a young girl, Angelina. A few months later the adoption agency calls and tells them that Angelina’s biological father wants the girl back. It turns out that the father, a teenage boy, never gave up his parental rights and he has the law on his side, and on top of that the child’s grandfather is a powerful judge in town. Jack and Melissa do not have choice but to see the girl be taken away from them. Even worse is that they have a feeling that the father is evil. His interest in the girl is minimal. So why is he so anxious to get her back? Just like in Blue Heaven, the author has used the reader’s expected horror at the idea of child abuse, and he does it very successfully. 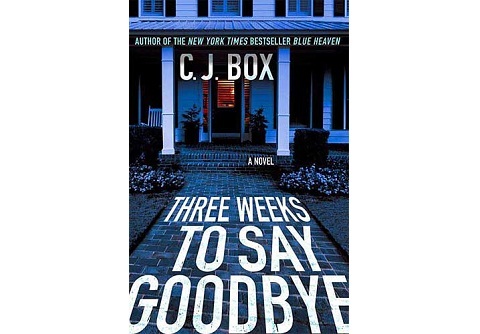 Box gives us a novel filled with suspense and keeps the reader’s interest throughout the whole story. I look forward to reading more books by C.J. Box. C.J. Box will be one of the guests of honor at the Killer Nashville conference in August 2012 (translator’s note).